MIDDLETOWN, NY – She was a 19-year-old college student and Sportsman racer. She had her whole life ahead of her. She was very in love with current big and small-block Modified driver Craig Mitchell. They were inseparable. 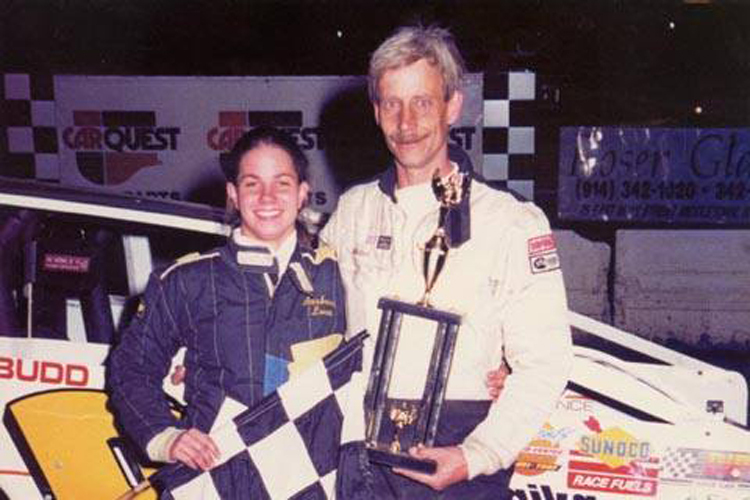 On June 6th, 1998, she won the Sportsman feature event at the Orange County Fair Speedway. Happiness radiated everywhere. It was one of the closest finishes in Orange County history at the time. Then, 22 days later, a tragic motorcycle accident ended it all, forever. In the realm of motorsports, women in racing is now a common thing. It 1998, it was a movement that maybe didn’t sit well with some of the elder statesmen of racing. She was a pioneer before her time and didn’t know it. In the spring of 1996 Barbara got behind the wheel of her first race car. She had told her dad the previous year that she wanted to race with the boys at Orange County. Being a multi-sport athlete who excelled at anything she put her mind and body to, she was given the green light to start her racing career. She cut her teeth weekly at the tough and unforgiving Orange County Fair Speedway. Experiencing firsthand the famous line from ABC Wide World of Sports “The agony of defeat” while not making the show on a regular basis. However, things were to take a positive step in the right direction as the dawn of a new season arose in 1997. A more focused and determined effort was put forth each week. 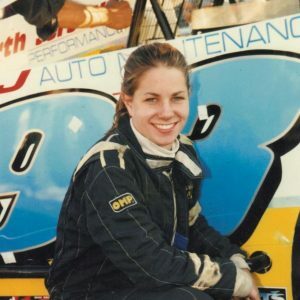 According to her posthumous resume and eulogy posted on Craig Mitchell’s website (CLICK HERE), she made the feature in better than 80% of the races held that she entered at Orange County in 1997. Her goals were on track and she was gaining ever more confidence and ability behind the wheel with each lap and race she made. In the fall of 1997 at the annual Super DIRT Week Sportsman race, Barbara would enter a car at the “Moody Mile.” It was the biggest track she had ever raced on with the best drivers in the Sportsman ranks. While no stranger to high speeds, as she was a regular campaigner on the 5/8th’s mile at Orange County, the Mile was a whole different story. She qualified 25th for the race on the Mile and brought the car home in one piece and placed 15th while also earning the hard charger award. As the 1997 season ended Barbara picked up some prized awards. She was awarded the Rookie of the Year in the Sportsman ranks and the Sportsmanship Award which was voted on by the press and track officials. Now with more seat time under her and more knowledge the goals were raised for 1998. This time there was the goal of garnering that first career win. Also, the goal was a higher ranking in the season ending points battle. Early season success greeted Barbara with a sixth place finish out of the gate. Now ever more determined to get that victory and scratch that accomplishment off her list, it was only a matter of time not if she could get it but when. On June 6th, 1998 as she exited turn four on the last lap, she passed the leader and hit the stripe in first place. A huge celebration took place in victory lane. She was a winner for the first time. This storybook ending though, has a horrible post script to it. A mere 22 days after this big win utter and complete devastation rocked her family, friends and acquaintances. A motorcycle accident claimed her life. It is impossible to describe the agony, the intense sorrow and the eternal heartache her family, friends and fans all feel to this day. Now 20 years later after her way to early passing, I took some time to reach out to a wide variety of people who knew Barbara not only as a racer but also as a daughter, a friend and as their soulmate. These are their words. Mitchell posted her final victory lane photo on his personal Facebook page on the anniversary of her last win. It is this kind of thoughtfulness and true remembrance that makes Mitchell one of the most respected drivers at Middletown. 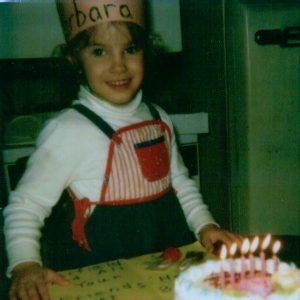 From a woman’s point of view, Barbara was an adorable and smart person. She was going to college at Berkeley in New Jersey at the time of her death. Mary Meier (wife of current mod driver Tommy Meier) – “Her and Craig were inseparable. He being a little older than her but they completed each other’s sentences. They were just made for each other. She was a little naive because she was only 19. She wasn’t readily accepted. She didn’t get the respect that someone like an Allison Ricci gets. My girls were so little at the time and now they are college students. It just doesn’t seem possible it’s been 20 years”. 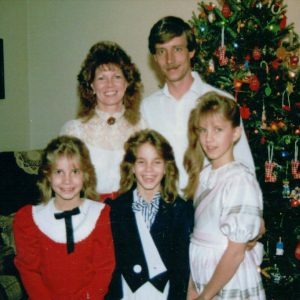 Keith Majka (Sponsor, family friend) – “She was bubbly, nice, pleasant. She was on her way up the ladder. She could handle herself well. The one thing I miss most about Barb is that I can see her wearing her black firesuit with her hair in a ponytail and she would be smiling. Always smiling”. Not only was Barbara a budding star on the racing circuit, she was a multi-sport athlete that lettered in softball, field hockey and basketball in high school. She was also a running back in pee wee football that is, until the boys outgrew her. 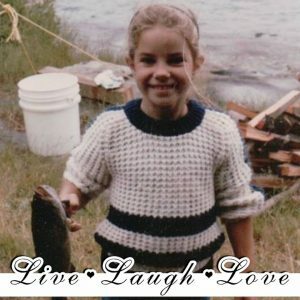 She was a hands-on person. She was willing to get dirty and do whatever it took to be successful. Nancy Myer Luce (Barbara’s Mother) – While my conversation with Barb’s mom was short, she did provide me with some comfort that the effort taken here in the story is greatly appreciated. On June 28th, 2018 at 6pm in Westwood, NJ there will be a memorial gathering to remember Barbara on the anniversary of her tragic passing. As of last weekend according to her mom, over 130 guests have committed to going. Craig Mitchell – Craig told me of a story of how an accident on a Thursday and only a day of time to get a car prepped for Saturday showed how much work ethic Barbara had at such a young age. “Gary Higbie and Harry Behrent owned the No. 1x that Tommy Meier drove, and I maintained at the Luce’s shop in 1997. 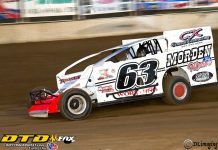 We had a series race on Thursday night at OCFS and Tommy flipped. The next day because we all had to work, Barb unloaded the car and stripped all the bent panels. She took the front end and rear end out so we could be ready for Saturday”. During the Eastern States weekend of 1998, the Sportsman race was named The Barbara Luce Memorial. 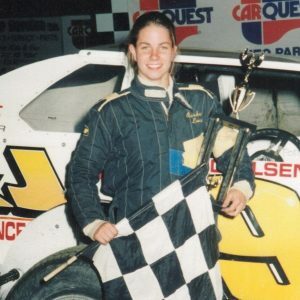 It was won by now Modified driver Chris Schultz of Liberty, N.Y.
Nearly four years to the day after her passing, her dad Neil, who devoted over two decades to the speedway as a racer, passed away from cancer on July 30, 2002. This story wouldn’t be possible without the time and effort given to me by the following people. Craig Mitchell, Carol Birchwale, Nancy Meyer Luce, “Dr.Dirt”, Keith Majka, Mary Meier. In closing I would like to send my sympathy to the family of Barbara and Neil Luce. They were great people that touched many lives and continue to do so every day. Racing isn’t just cars going around in circles, its relationships and family’s that bind us together that allow us to do what we love each week.